While many experimental studies have been done on siliceous and metamorphic rocks for both use-wear and post depositional surface modification (PDSM) events, little is known about such experiments on volcanic materials (other than obsidian), and on basalt in particular. Here we present the preliminary results of several experiments related to: a) evidence for basalt use (e.g., butchery and fresh hide scraping) and the subsequent characteristic use-wear patterns that can be seen; and b) post-depositional surface modifications caused by bear (Ursidae) trampling on experimental basalt flakes and subsequent use of these flakes for a tumbling experiment in a special tumbling machine. The results of these experiments were compared to better understand some surface modifications noted on the Middle to Upper Pleistocene lithic assemblages of the Azokh Cave site (Nagorno Karabagh, Lesser Caucasus). Although some aspects of both events (use-wear and PDSM) remain to be studied in depth, the experiments have improved our understanding of the effects of use-wear and post-depositional trampling and tumbling on basalt lithic artefacts. In particular, it has allowed us to recognise mechanical alterations (e.g., cracks, striations, fractures, edge damage) caused by trampling and tumbling and to note differences between these modifications and those caused by use. In particular, the experiments have shown that macroscopic modifications are rarely diagnostic, especially those observed after use. Microscopic wear features such as edge rounding, polish, abrasion and striations were the most evident types of alteration on basalt flakes, although occurring at different times and from different types of use. Distribution and orientation of alterations may be key in distinguishing use-wear from post-depositional alterations on basalt artefacts. Asryan, L., Moloney, N. & Ollé, A. (in press), Lithic assemblages recovered from Azokh 1 (Chapter 4). In: Azokh Cave and the Transcaucasian Corridor (Fernández-Jalvo, Y., Andrews, P., King, T. & Yepiskoposyan, L., Eds.) Vertebrate Paleobiology and Paleoanthropology Series, Springer, Dordrecht. Clemente, I. & Gibaja, J.F. 2009, Formation of use-wear traces in non-flint rocks: the case of quartzite and rhyolite. Differences and similiraties. In: Non-flint Raw Material Use in Prehistory. Old prejudices and new directions. UISPP - Proceedings of the World Congress (Lisbon, 4-9 September 2006), vol 11. B.A.R. International Series Vol. 1939 (Sternke, F., Eigeland, L. & Costa, L.-J., Eds. ), Archaeopress, Oxford: p. 93-98. Deunert, B. 1995, A fundamental basalt flake analysis. Based on experimentally-produced and used flakes as well as the prehistoric Waikalua material. Vol. 614. B.A.R. Inernational Series. Tempus Reparatum, Oxford. Flenniken, J.J. & Haggarty, J. 1979, Trampling as an agency in the formation of edge damage: an experiment in lithic technology. Northwest Anthropological Research Notes, 13: 208-214. Grace, R. 1989, Interpreting the function of stone tools. The quantification and computerisation of microwear analysis. B.A.R. International Series Vol. 474. British Archaeological Reports, Oxford, 255 p.
Hayden, B., (Ed), 1979, Lithic use-wear analysis, Studies in Archaeology. Academic Press, New York, 205 p.
Hong, M. & Kononenko, N. 2005, Obsidian tools and their use excavated from the Hopyeong-dong Upper Paleolithic Site, Korea. Journal of the Korean Paleolithic Society, 12: 1-30. Hurcombe, L.M. 1992, Use-wear analysis and obsidian: Theory, experiments and results. Sheffield Archaeological Monographs Vol. 4. J.R. Collis, Sheffield, 226 p.
Kamminga, J. 1979, The Nature of Use-Polish and Abrasive Smoothing on Stone Tools. 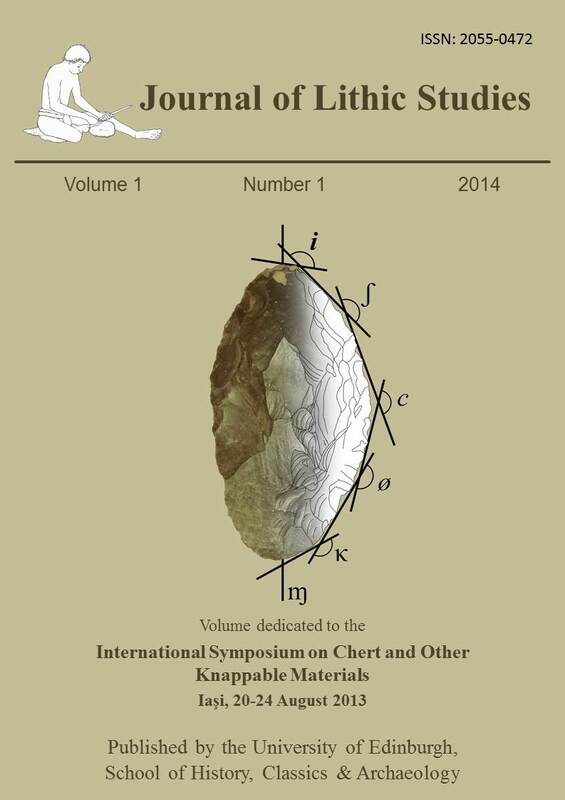 In: Lithic Use-Wear Analysis (Hayden, B., Ed.) Studies in Archaeology, Academic Press, New York: p. 143-157. Keeley, L.H. 1980, Experimental Determination of Stone Tools Uses: A Microwear Analysis. Prehistoric archeology and ecology. The University of Chicago Press, Chicago, 212 p.
Knutsson, K. 1986, SEM-Analysis of Wear Features on Experimental Quartz Tools. Early Man News, 9/10/11: 35-46. Kononenko, N. 2007, The contribution of use-wear/residue studies of obsidian artefacts for understanding changes in settlement and subsistence patterns in West New Britain, Papua New Guinea. Bulletin of the Indo-Pacific Prehistory Association, 27: 135-143.
van der Made, J., Torres, T., Ortiz, J.E., Moreno-Pérez, L. & Fernández-Jalvo, Y. (in press), The new material of large mammals from Azokh and comments on the older collections (Chapter 6). In: Azokh Cave and the Transcaucasian Corridor (Fernández-Jalvo, Y., Andrews, P., King, T. & Yepiskoposyan, L., Eds.) Vertebrate Paleobiology and Paleoanthropology, Springer, Dordrecht. Marín-Monfort, M.D., Cáceres, I., Andrews, P. & Fernández-Jalvo, Y. (in press), Taphonomy and site formation of Azokh 1 (Chapter 10). In: Azokh Cave and the Transcaucasian Corridor (Fernández-Jalvo, Y., Andrews, P., King, T. & Yepiskoposyan, L., Eds.) Vertebrate Paleobiology and Paleoanthropology Series, Springer, Dordrecht. Moncel, M.-H. & Rivals, F. 2011, On the question of short-term Neanderthal site occupations Payre, France (MIS 8 - 7), and Taubach/Weimar, Germany (MIS 5). Journal of Anthropological Research, 67: 47-75. Murray, J., Lynch, E.P., Domínguez-Alonso, P. & Barham, M. (in press), Stratigraphy and Sedimentology of Azokh Caves (Chapter 2). In: Azokh Cave and the Transcaucasian Corridor (Fernández-Jalvo, Y., Andrews, P., King, T. & Yepiskoposyan, L., Eds.) Vertebrate Paleobiology and Paleoanthropology Series, Springer, Dordrecht. Newcomer, M.E. 1976, Spontaneous retouch. Staringia, 3: 62-64. Odell, G.H. 1977, The application of microwear analysis to the lithic component of an entire prehistoric settelment: methods, problems and functional reconstructions. Ph.D. thesis at the Department of Anthropology, University of Harvard, Cambridge, Massachusetts. Ollé, A. & Vergès, J.M. 2008, SEM functional analysis and the mechanism of microwear formation. In: 'Prehistoric Technology' 40 years later: Functional Studies and the Russian Legacy. Proceedings of the International Congress Verona (Italy), 20-23 April 2005 Vol. 1783 (Longo, L. & Skakun, N., Eds.) B.A.R. International Series, Archaeopress, Oxford: p. 39-49. Richards, T.H. 1988, Microwear Patterns on Experimental Basalt Tools. B.A.R. International Series Vol. S460. British Archaeological Reports, Oxford, 283 p.
Sussman, C. 1988, Aspects of microwear as applied to quartz. In: Industries lithiques. Tracéologie et Technologie Vol. 411 (ii) (Beyries, S., Ed.) B.A.R. International Series, John and Erika Hedges Ltd., Oxford: p. 3-28. Vaughan, P.C. 1985, Use-Wear Analysis of Flaked Stone Tools. The University of Arizona Press, Tucson, 204 p.